After you’ve recorded your audio and assembled the pieces of your show (music, sound FX, etc.) in your audio editor, a few steps remain. You’ll want to make sure your audio hits the suggested target for podcast Loudness (-16LUFS for stereo, -19LUFS for mono) and include your ID3 metadata (a.k.a. tags). Auphonic.com makes this really simple. With the click of a few checkboxes, Auphonic can process audio to your specified Loudness target (multiple options exist), reduce noise and hum, filtering of disturbing low frequencies, perform leveling for balancing levels between speakers, music and speech, and a few more awesome features. And in most cases it does a stellar job. If you are using the online version (2 hours of free processing each month), there are also desktop apps, you can also include ID3 tags in your final podcast ready audio file. 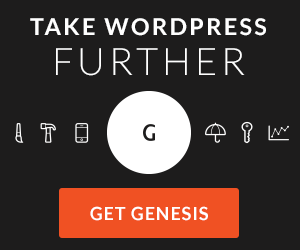 This is very handy for streamlining your workflow. This option is not yet available on the desktop versions. When you’re ready to start publishing your podcast to the world, you’ll want to submit your show to as many podcast directories and apps as possible. Don’t overwhelm yourself with trying to get into all the directories you can find on your first week. Submit to the directories listed below first and then over the period of a few months, work on getting in new directories as you have time. I spent a good deal of time over at PodcastPlaces.com, a great site for getting all the information you need for submitting your podcast to almost every known podcast directory and app. Below is a list of the top places you should make sure your podcast can be found first. Since half of these fill their directory by pulling info via the iTunes API, once you submit to iTunes, you’ll be half way done. The below list is broken into “Primary” and “Secondary” directories and apps based on download numbers from the shows I produce. You’ll likely see different results for your own show but being in these directories will account for a large portion of your audience. Of course, you should also make sure your podcast is easily available via an HTML5 (mobile friendly) audio player on your own website. Behind iTunes, this is the second largest source of listens for The Podcasters’ Studio. iTunes. If you only submit to one place, this is the one. It’s where most people find podcasts (always has been) and is also your gateway into many other directories and apps. See the video below for how to submit your show. Stitcher – likely soon to fall to third place after Google Play Music, this is usually the number two source for podcasting listening. People using both iOS or Android devices can use Stitcher to find and listen to your show. Google Play Music – While not currently available to the end-user, this new directory is taking submissions ahead of it’s public release. Get in now. Overcast – free iOS and web app gaining in popularity. This app pulls from the iTunes API so all you need to do once you submit to iTunes is check the app (it’s free) to make sure your show is in there. iCatcher – premium iOS app, pulls from the iTunes API – You’ll need to buy this app or find someone who has it and have them confirm your show is in the directory. PodCruncher – Premium iOS app. Pulls from iTunes. This one may actually have been an accident. I’m seeing downloads from here but on second look it doesn’t seem to produce enough to make this list. Not sure what happened but at least now you know it exists;) Don’t put any extra effort into confirming you’re in this one. 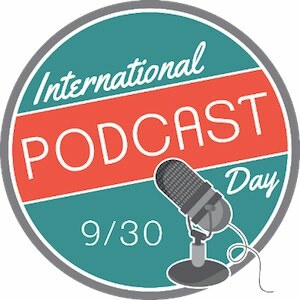 See my, Where to Submit Your Podcast Infographic. For the remaining podcast directories and apps (over 100 total) visit PodcastPlaces.com to stay current with all the available places to submit your podcast. Once again, these are just the places I’m seeing good download numbers originating from. Yours will be different. Hopefully you have good stats so you can track where people are coming from. Some important notes: along with having your podcasts available on your website, you should also have subscribe links to the biggest places to find podcasts such as iTunes, Stitcher, Miro and your own RSS feed as well as email. Included in this should be a link for Android users that you can create via subscribeonandroid.com. Podcast Places (comprehensive directory of podcast directories and apps). 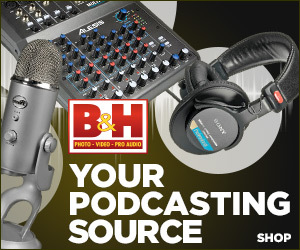 Looking for a reliable media host for your podcast? Consider using Libsyn (my chosen host) or Blubrry (the two best, most reliable podcast media hosts IMO) and get your first month free when you use promo code: PODCASTHELPER at checkout. **You should read each directory’s terms of service before submitting your show so that you can decide if you are OK with releasing your content to that platform.